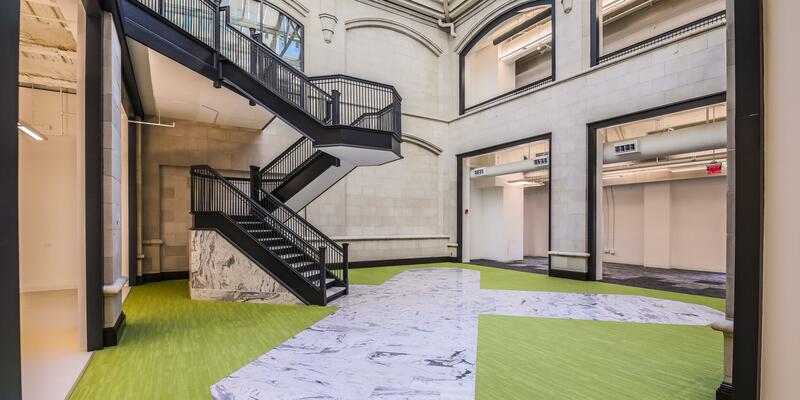 NEXT architecture completed a tenant spec suite on the 10th and 11th floors at The Union Trust Building in downtown Pittsburgh. 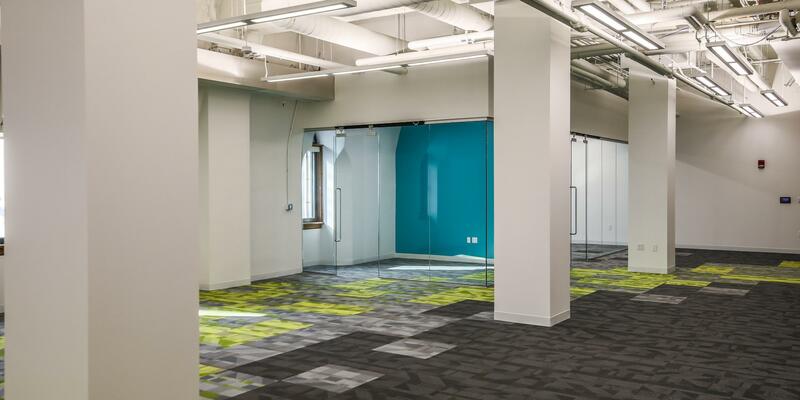 The suite includes conference rooms, open office space and a generous kitchen/ cafe area. 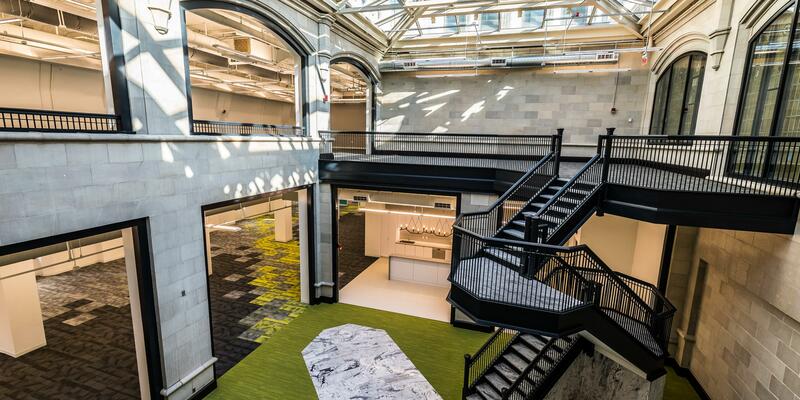 The space had a large open atrium that allowed for views of the Union Trust’s roof structure but was confined by rooms on all sides blocking the view. 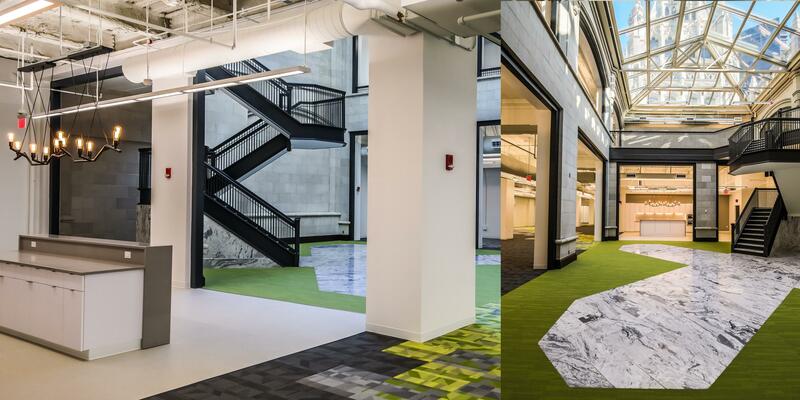 The design of the suite drew future tenants in through a vibrant carpet path to the center atrium, rooms were removed around the atrium to open up the space to show tenant’s its potential. 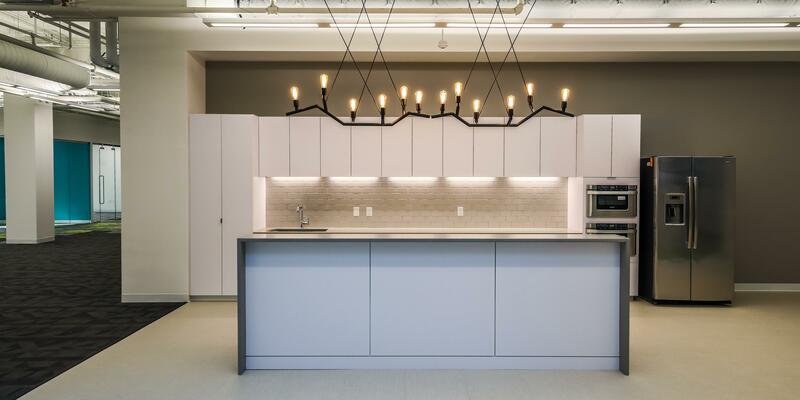 The kitchen/ cafe was placed adjacent to the atrium to allow for future collaborative workspace to spill out into this area.